In 2013, Natalie Portman delivered one of the most emotionally exploitative lines of dialogue in the history of the ever-growing Marvel Cinematic Universe. It comes in Thor: The Dark World, when her character, love-struck scientist Jane Foster, encounters vulpine supervillain Loki during a trip to Asgard. She slaps him and intones, “That was for New York.” Marvel saw that line as important enough to give it a place in the film’s first trailer, and it sticks out as one of the more memorable moments in an otherwise dull movie. Textually, Jane’s referring to the Battle of New York, the cosmic tussle between the Avengers and Loki’s army that acts as the climax of 2012’s The Avengers. But metatextually, well, c’mon. When a character in an action movie talks about a building-smashing attack on the Greatest City in the World, we all know what real-life event we’re supposed to be getting fired up about, or at least what our response is rooted in. It’s never made clear if 9/11 actually happened in the Marvel Cinematic Universe, but the Battle of New York — which was introduced to the MCU in 2012 — is a reasonable stand-in for it. Characters in that lucrative fictional world live in the shadow of a man-made, largely airborne disaster in which outsiders wrecked Manhattan skyscrapers on a clear, crisp day. We’ve seen the battle’s aftermath discussed in Marvel’s films and TV shows, which all theoretically occupy the same world, though seen from radically different angles. Marvel’s Luke Cage is no exception to the rule, explicitly and implicitly existing in the shadow of disaster. But it’s a rarity in superhero filmmaking: a story that addresses the legacy of 9/11 in a way that isn’t gauche. In fact, its brief mentions of the Incident are as subtle as they are innovative. The central catastrophe of the MCU is first mentioned early on in Luke Cage. Just a few minutes into the first episode, the title character comes upon a quintessentially New York sight: a bootleg-DVD hawker on a street corner. “Tony Stark! The big, blonde dude with the hammer! The old dude with the shield! The green monster — and I don’t mean Fenway!” the young vendor yells to no one and everyone. “You can’t get better raw footage of the Incident anywhere than right here!” We see him again in episode seven, declaring that he has “all the best angles of the Incident.” That’s the first time we’ve seen such petty Incident-hustling in this universe, but it makes all the sense in the world. There have been plenty of references to the Battle of New York, but we’ve never seen a micro-capitalist looking to cash in on it. What’s most immediately striking about that idea is how clever it is narratively — and its cleverness is rooted in one of the conceits that makes the superhero genre fascinating: It is an endlessly iterative genre, with creators building out logical extensions of ideas first presented by other creators who played with their characters or situations previously. It’s a long-standing tradition. Some examples of this approach: Stan Lee and Jack Kirby had the Fantastic Four turn some shape-shifting aliens into cows; decades later, John Byrne had the Four visit the nearby town that inadvertently drank alien milk for years, where residents gained their own shape-shifting abilities. For 75 years, Batman’s been the most skilled non-powered hero on the planet; James Tynion IV posited that a military splinter cell would train a group of soldiers to act like him. And so on. Weird ideas presented in a shared universe can later beget intricate world-building. Marvel’s filmed offerings have already taken this approach, but the results have often been awkward in their handling of post-9/11 psychology. ABC’s Agents of S.H.I.E.L.D. used the Battle as a simplistic opportunity to introduce a bunch of cool alien weapons left behind by the intruders. Captain America: Civil War used it as one of the events that drove the U.S. government to launch its attempt to regulate the Avengers, but that initiative was more of a tossed-off story prompt than a launching pad for any substantive interrogation of the tension between government control and personal liberty. Captain America: The Winter Soldier did a bit of that interrogating, but ultimately let us off the hook by revealing that the post-Battle invasions of privacy are the result of shadowy villains. Perhaps the closest thing to Luke Cage’s street-level take came in the first Marvel-Netflix offering, Marvel’s Daredevil. There, we learned that the Hell’s Kitchen neighborhood of Manhattan fell into chaos in the wake of the destruction, creating an opening for crime bosses and other unsavories. Yet that story choice is conceptually off-base. One of the most remarkable aspects of New York’s response to 9/11 was the way chaos didn’t emerge. Urban catastrophe has plenty of negative effects, but, at least in the the nation’s largest city, it didn’t magically create street crime. That’s too easy a conceit. By contrast, Luke Cage imagines a more plausibly human response to mass destruction: We’d gawk at videos of it. “Look, everybody in here, you know you wanna see it,” the hawker cries. Herein lies another bit of quiet brilliance in Luke Cage. In 2001, camera phones were a rarity, so footage of the World Trade Center’s destruction primarily came from bulky TV cameras. This show imagines a world where a 9/11-esque event occurred in 2012. In doing so, it demonstrates how humanity has changed its habits over the course of a decade — we’ve all become amateur filmmakers. “People actually pay money for that?” Luke asks, and he makes a solid point — there probably isn’t a huge market for Incident video when so much of it would be online already. But the kid knows he can at least make a few bucks profiting off of people’s hunger for the rarest images of brutality. Just look at the long-running search for footage of newscaster Christine Chubbuck’s suicide — there will always be people who want to go down the rabbit hole for visual tragedy and feel frustrated when their YouTube playlists run dry. Just as important as all of the above is what TV’s latest superhero tale doesn’t do: dwell. Its take on a 9/11 analogue occupies very little time, only popping up in the street vendor’s two scenes. That’s how we react to tragedy in 2016. For better or worse, Americans move on quickly. Mass shootings, urban bombings, foreign wars — we forget them within a few months, drawn to the next trending topic. Nevertheless, there will always be at least a few people continuing to exploit tragedy for their own ends, be they political or pecuniary. 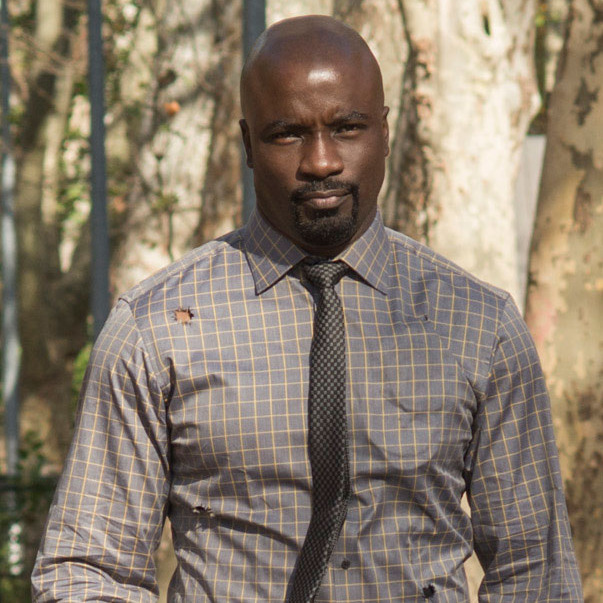 What’s noble about Luke Cage is Marvel’s choice to depict exploitation, rather than be exploitative itself, as it has so often done. Here’s hoping there’s more where that came from.